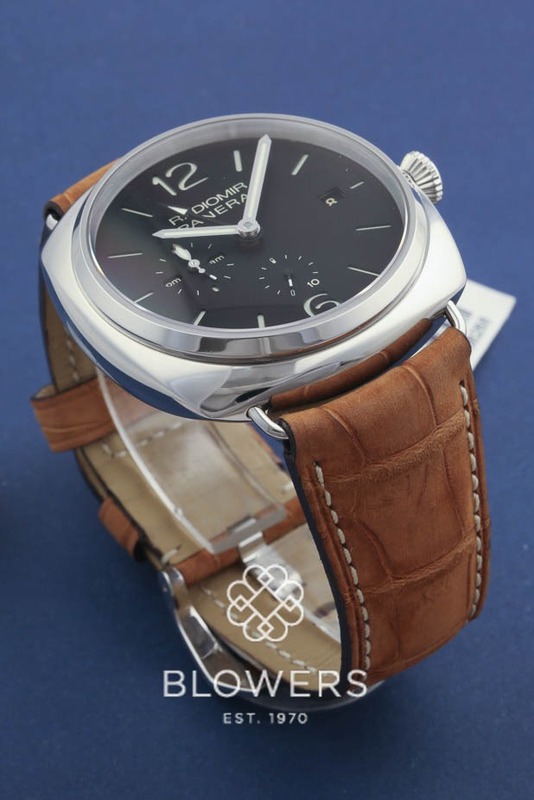 Steel Panerai Radiomir 10-days GMT PAM 00323 Case diameter 47mm water resistant to 100 meters. 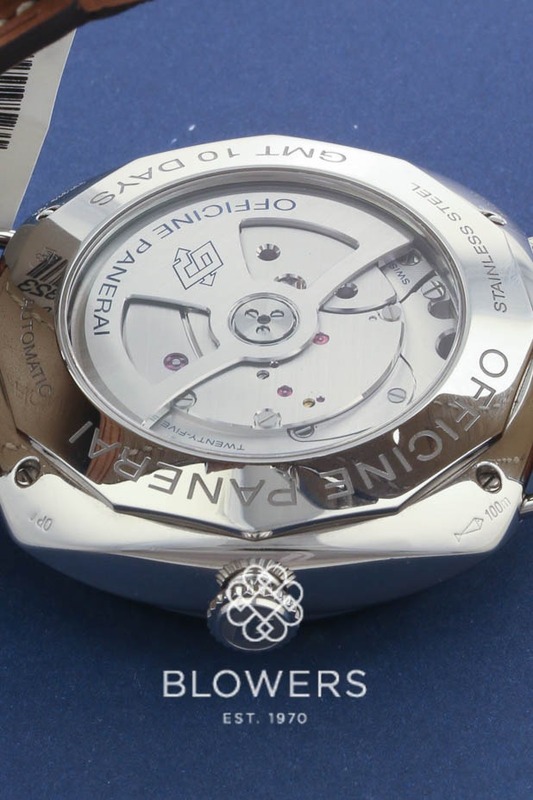 Automatic Manifattura movement, caliber P. 2003/5 caliber, 25 jewels, three barrels. 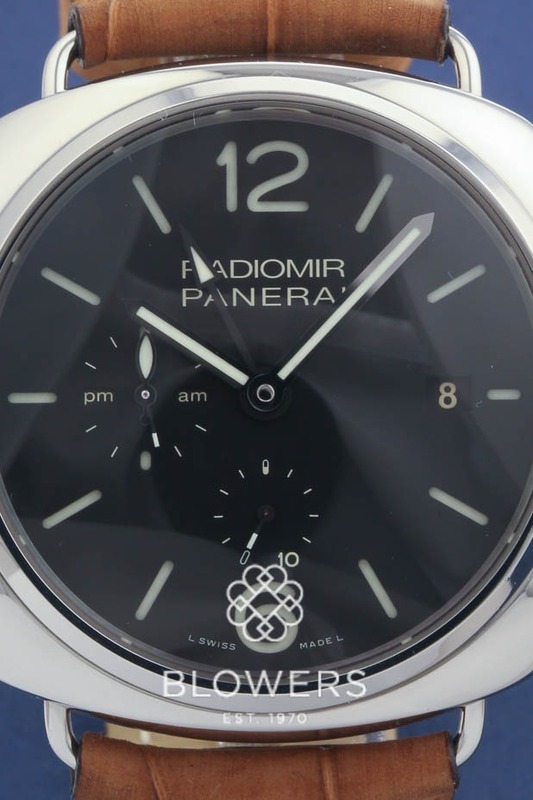 Black sandwich dial with luminous hour markers and numerals. 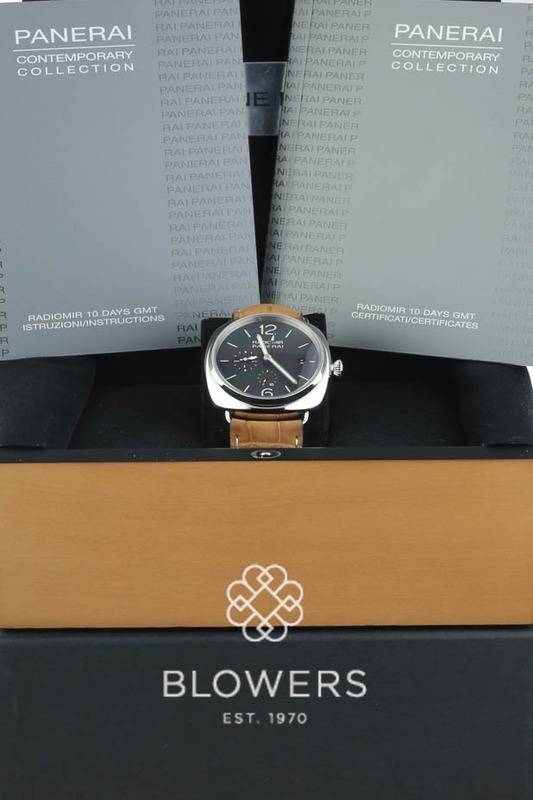 Functions: Hours, minutes, small seconds, date, second time zone, day/night indicator, circular power reserve indicator and seconds re-set. Sapphire crystal see through case back. 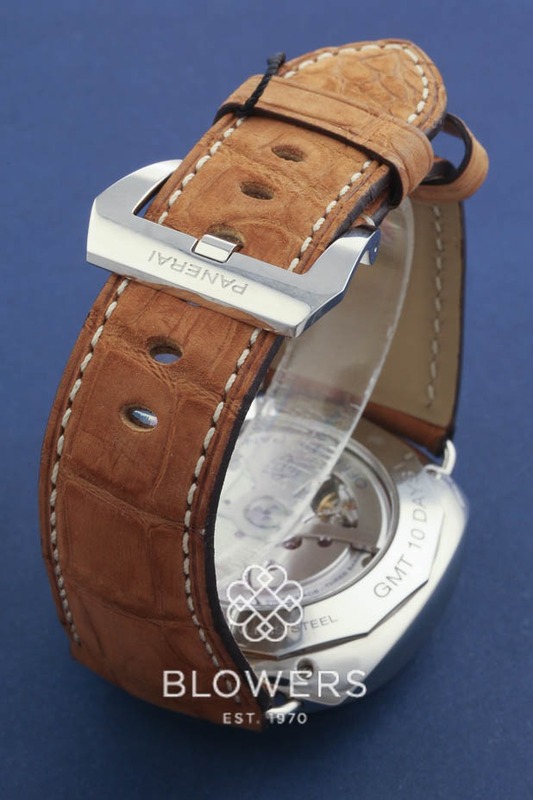 Tan croc strap with steel buckle. Box and papers dated May 2015. 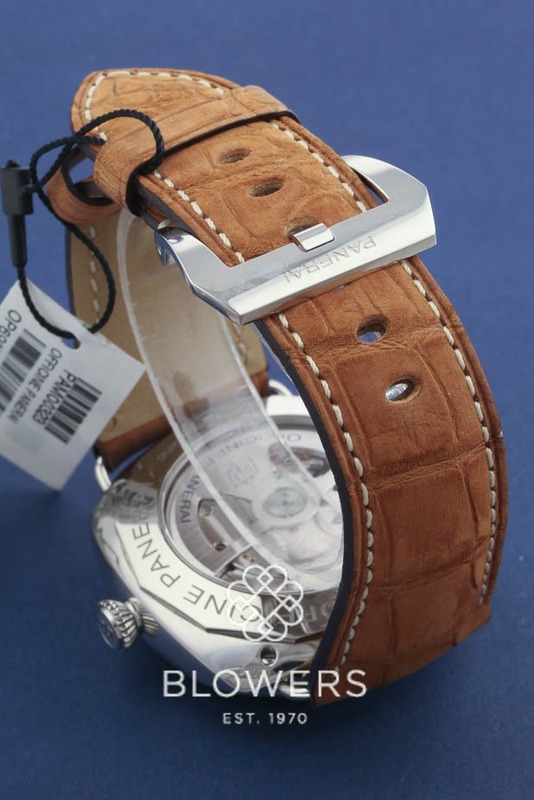 Our reference S22021. 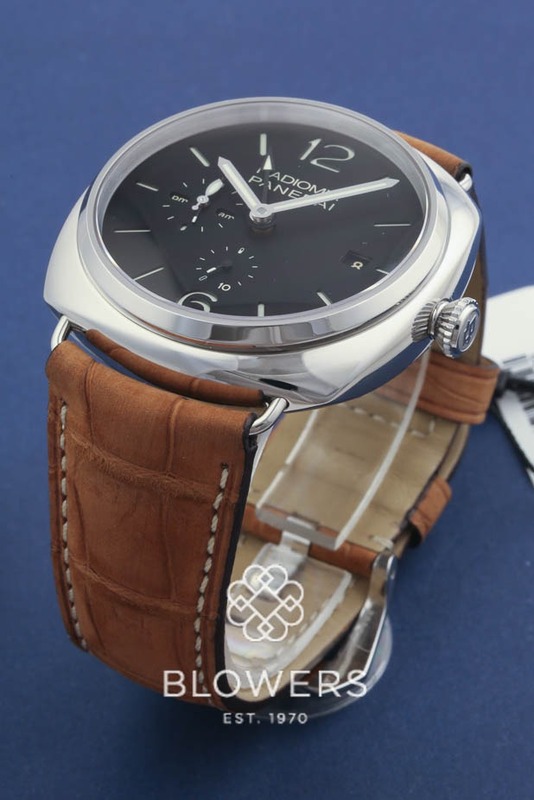 PAM 00323. SKU: 3121034. 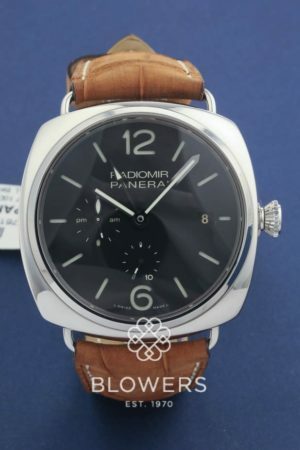 Categories: Panerai, Radiomir.